The rules just got a little clearer for what property Idaho police can and cannot take in connection to suspected crime. However, the new civil asset forfeiture rules, recently signed into law by Gov. BUTCH OTTER, do not address what critics argue is the most controversial part of this practice: That the government can take and keep citizens' property and cash without any criminal conviction. "One thing we did not do is say there has to be criminal conviction in order for assets to be seized," says Idaho Sen. Grant Burgoyne, D-Boise. "But there does have to be some connection to criminal activity, even short of a conviction." Burgoyne, who co-sponsored the bill, does not believe a criminal conviction should be necessary for the government to take a citizen's property, but acknowledges that some involved in crafting the bill disagree. 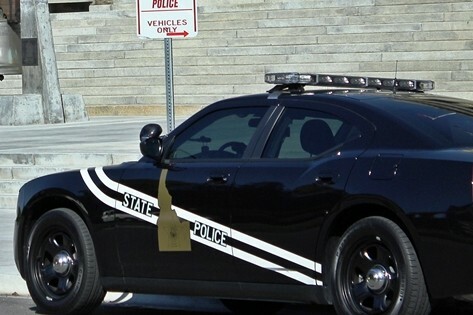 The new Idaho law specifies that vehicles cannot be forfeited in connection to a simple drug possession charge. Rather, the suspected crime must be related to trafficking. Additionally, the law says, the mere presence of money, without evidence of another crime, is not enough for police to seize it. The law also requires law enforcement agencies to track and report seized and forfeited property. One important portion of the new law that Burgoyne highlighted, though, was giving people the right to challenge the seizure of assets or property in court before the criminal case is completed. The goal, Burgoyne says, giving an example, is to protect the parents whose child is caught doing something illegal. Previously, if a kid was caught with drugs in his or her parents' vehicle, police would take the vehicle. The new law "helps to minimize the disruption to innocent people's lives," he says. Otter vetoed a similar civil forfeiture bill last year, erroneously citing no evidence of abuse of the practice by police in Idaho, as has been documented in other parts of the country. This time around, law enforcement was more involved in crafting the legislation, Otter's spokesman Jon Hanian says via email.